Bring the Books: Planet of the Apes: Does Ape + Intelligence = Person? Planet of the Apes: Does Ape + Intelligence = Person? This is not a movie review of Rise of the Planet of the Apes. I'll skip past all of that typical review stuff where I recount the plot of the story, because the trailer [above] really does a pretty good job of outlining the story. I will only say that a few months ago when I saw the trailer I seriously thought this would be the worst movie of the whole summer. In my arrogant way, I thought I knew a stink bomb when I saw it; but I was wrong. Far from it, Planet of the Apes is a great, great, great movie. Not Tree of Life great, but maybe The Dark Knight great. Go see it. It's probably my favorite thing that's happened all summer - and that includes the conclusion of Harry Potter. What I want to point out is not what this movie says about humans or monkeys, but what people will think this movie says about personhood. 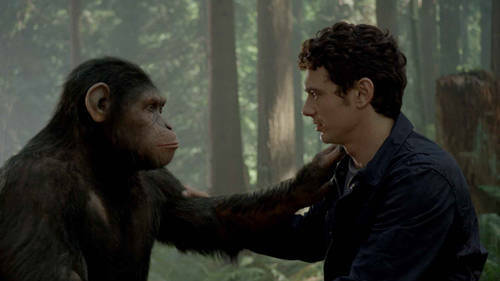 As you watch this movie, you relate to the main Chimpanzee, Caesar. You watch him grow, you relate to him, you empathize with him; I even shed a tear when he spoke his first word. (A moment not to be lost, I heard exclamations from people all over the theatre in the moment after it happened.) You sense the personhood coming through in the movie, because the CG and motion capture and just the technology in general is so advanced. In the end, I believe that Caesar, for all intents and purposes would be judged by your average viewer to most certainly qualify as a person. Even I, sitting there, was thinking, "That ape is a person!" And here's where the important part comes in. What does this say about our conception of what a person is? In the film, the only thing that happens to the apes is that they become more intelligent - super intelligent. That's it, and suddenly they become persons. And so that's where the conversation needs to take place, I think. Just as in secularism, the solution is simply education and knowledge. If only those two things could occur, the secularist thinks, then the problems of the world and the ills which beset humanity could be cured. 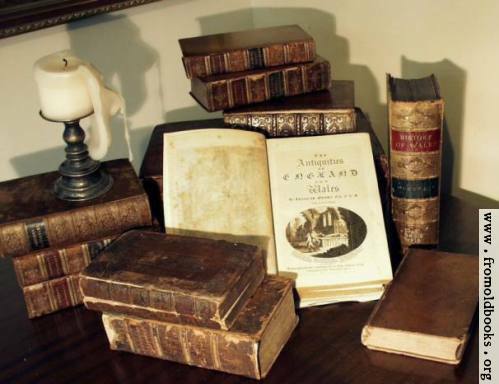 (Read G.K. Chesterton if you want to see this vision of secular salvation lampooned.) Many will come away from this movie reflecting on the notion of personhood and personality and the mistaken impression they will come away with is the idea that all it takes is intelligence and any animal can rise to the level of personhood. I remember a few years ago hearing the story of Lucy Temerlin. Lucy grew up in a human home and was raised like any human child with one exception - she wasn't human, she was an ape. She grew to cook for herself, speak sign language, befriend her owners - she even grew to only be sexually attracted to humans. Her story reminded me a great deal of Caesar's storyline in the film - in fact, I kept thinking of Lucy almost the entire time I was watching Apes. Anyway, Lucy's story was tragic and saddening. As she grew, it became apparent that she was too strong to live with the humans, but she hadn't the slightest idea how to relate with other apes - in fact, they terrified her. She thought they were some kind of monsters. She grew to live in this intermediate state where she had the semblance of human emotions and pathos, she appeared to be a person, and yet self-reflection always seemed to be just a step beyond her. Eventually, Lucy was sent to an animal reserve where she never really belonged. Her hair fell out, she became malnourished, she didn't know how to care for herself or hunt for food. Years later, Lucy was found dead in the ape reserve. After I first heard this story, it occurred to me immediately that this was a creature who was taught to go through the externals of personhood. Shake hands. Make tea. Don't poop in the living room. Hug your owner. Communicate what you're thinking. Wear people clothes. All of these things are wholly remarkable, if for no other reason than the fact that these behaviors are all unheard of to most of us. We hear these things and we think, "Well of course they're persons! They do all the things that we do!" Such a response shows what a shallow notion of personhood we really have. What an externalistic way of defining personhood! What is it - what is the one ingredient that Lucy was missing? Why did she always seem to be one step from finding the glory and being at peace? It's the soul. It's the one component that modern man desires to discard from the equation because even if he does like to think that man has one, he also wants to think that animals have them too. Christians often buy into this line of thinking as well. 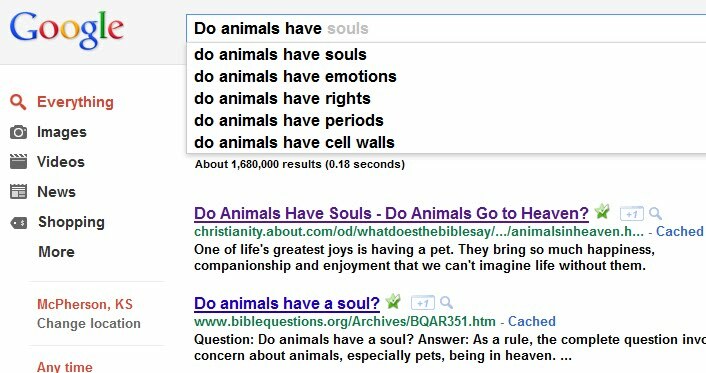 Just do a Google search for "Do animals have" and see how Google completes your entry. In the end, even Christians are all too quick to think that if an animal shows affection or emotion or shows itself to be extremely intelligent, then it must be some sort or person. Or maybe, just maybe, if my terrier cuddles with me while I watch Mike & Molly, then nobody can tell me that my dog doesn't have a soul. Christians seem reticent to offer a direct answer to this. And maybe this is very unpastoral of me, but it's time we cease tiptoeing around animal lovers' feelings on this subject, and say point blank: your animal doesn't have a soul. It may be special, and it may be cuddly, and it may even have emotions. But just like Lucy, and just like Caesar, they will never be a "living soul" like man is, created uniquely by God Himself and endowed with God's image, no matter how intelligent any animal becomes - terrier or ape - they will always be bound to external behaviors which do not proceed from a living soul. If there is one thing which I think Planet of the Apes will do, it is provoke debates and questions about personhood. But as Christians, lets be careful to realize that the movie teaches us nothing about men or apes - it tells us everything about what we think of men and apes. We take the fact that we are created in the image of God way too lightly. By elevating animals to our level, we are in fact thinking less of God, devaluing our Creator, and belittling the dignity of his creation. Now I have to see this movie.